This is deeply personal. But what I have experienced should resonate with the entire Jewish community—the one we know and the one to come. In the whirlwind that seizes me and all who are communally aware, I have reached a new and stunning personal location, wedged between the searing past and the uncertain future. Image of Edyka courtesy of the author. 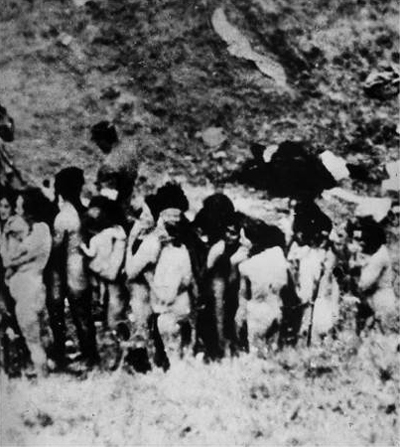 My story begins before I was born, when my grandmother Fanya seized her slender teen-aged daughter—my mother-to-be— Edyka, and pushed her out of the small vent at the top of a suffocating boxcar rumbling inexorably from Bialystok, Poland toward the Treblinka deathcamp. Together, they made the split-second decision that at least one person should escape. My mother became a “jumper.” That day, she jumped into a hostile and dangerous Polish forest, was shot by local forces, and then buried in a hastily-arranged mass grave in the snow. Buried, yet one nearly lifeless limb protruded. Teen-aged Herschel, an audacious forest fighter, came upon the area. Spying Edyka’s leg moving. He pulled her out of the pile. For two years, under cloak of night and by raw courage, they lived in the woods as brave partisans. They survived. After the war, believing millions of Jews had been killed, they decided to continue living as Jews, precisely because so many tried to kill our people. After two years in a displaced persons camp, they found their US home in Chicago. Their courage and determination allowed me to be born. Among the disparate generation of unique survivors that came to America, many parsed themselves into two types. One group was determined to boldly keep the memory of Nazi crimes intensely illuminated as a warning beacon to all humanity—that was my family’s group. This group robustly fought for commemoration, investigation, and compensation. 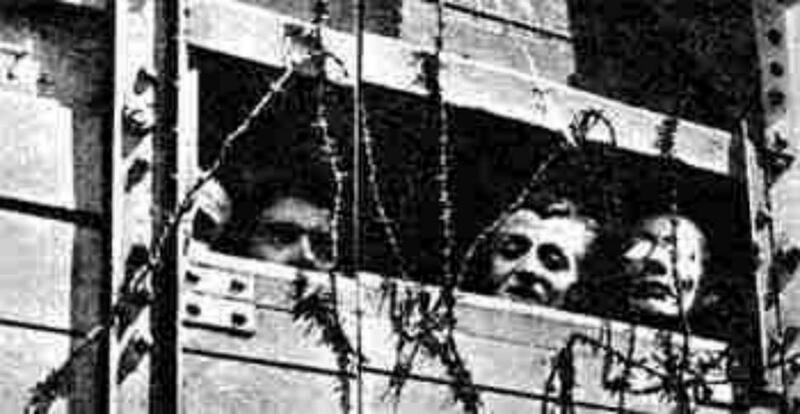 They demanded unending x-rays and dissection of the sick international body politic that perpetrated, facilitated, and tolerated the Holocaust. My eye was focused on corporate complicity by those too big to be exposed, such as IBM, Ford, GM, Carnegie, and Rockefeller. A second group of survivors preferred not to talk about the unspeakable experience except among themselves—the so-called “sha-sha” survivors. Perhaps, while some were proud to survive, somehow they also felt shamed by the degradation they had overcome. Some felt guilty that they lived while their loved ones had perished by gas, gunshot or other gruesome means. Each had deeply personal reasons for their reticence. But all were protective of their American-born children. Many wanted to shield their sons and daughters from their traumatic experiences as a further act of conquest over their anguish. Even so, by this century, many “sha-sha” survivors had found their voices, and sought rooftops to climb and vociferously proclaim their identity. But by now, a new generation had grown up with far fewer nightmares. Like many in the corridors of the communally aware, I have been repeatedly shocked by the eruption of open anti-Semitism and anti-Jewish violence in Europe, the mainstreaming of anti-Semitism in the United States, and the eroded position of Israel within certain flanks of the Jewish community. Like many who worry about such matters, my outlook was bleak. Last year, my operatically-trained, rock-pop singer/songwriter and cantorial soloist daughter Rachel Black—with no advance notice to me—wrote a haunting Holocaust ballad. It is among the first songs of the Holocaust written in contemporary musical style. I was astonished to learn that it was titled “Edyka,” named for my mother. In piercing rhythms and searing lyrics, “Edyka” retold the story of my grandmother in that ghastly boxcar, saving my mother, which made it possible for me to exist and for my daughter to also exist, thereby keeping the memory alive. When we live beyond our days, it is only because we live in memory. My mother has passed, but her inspiring struggle lives on. I have repeatedly written about my parents’ story, and now my daughter has ignited a new vector of remembrance in song. Then, Rachel was invited to sing and deliver a keynote address at her state’s official Yom HaShoah commemoration in 2018. At the last minute, she received permission to sneak preview her song in a solo performance, evoking a rousing, emotional reception. 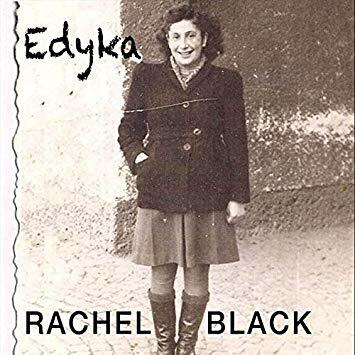 Soon, Rachel performed Edyka elsewhere in Kansas, where she lives, now with accompanying musicians, attracting a following who connected with the message. Crowds teared up and stood in applause when she chanted the song’s pulsing injunction to survive. The Kansas City Star learned of the buzz and published an extended Mother’s Day feature about my daughter, her grandmother, her great-grandmother, and the song linking them all. The newspaper also videoed a performance of the song for its website. Quickly, the Kansas City Star’s coverage was syndicated, and then picked up by the Associated Press. Within days, the feature had been published by several dozen American newspapers including the Washington Times and Miami Herald. A few weeks later, Rachel and her group of accompanying musicians found themselves in a recording studio. Shortly after the CD was released, Amazon issued a big order, and it briskly sold as a single. Last October 2018, Rachel flew to Washington D.C. to perform her song at the National Press Club before a prestigious gathering at a Holocaust Legacy ceremony. A few weeks later, she rendered a house-chilling performance at a large commemoration of the 80th anniversary of Kristallnacht held at Temple Israel in Manhattan, sponsored by the Suzanna Cohen Legacy Foundation. The new 4G arrival is baby Cora Edyka. Korach gave rise to the original cantors who sang at the Ark of the Covenant. Edyka was in the boxcar. Thus comes Cora Edyka, fit and fighting to take her place in the legacy of survival. I received a video of Cora Edyka’s first moments in the world as her mother gently sang to her in Hebrew—Hinei Mah Tov. “How good it is… to dwell together.” Hence, the first sounds heard in Cora Edyka’s existence were not Sesame Street cheeps or baby doll squeaks, but the very sounds the Nazis worked so hard to extinguish. Whether “sha-sha” or fiery activist, the generations of the Holocaust have been determined to fortify and protect the ones to follow. Quite soon, all the survivors will be gone. The Second Generation, including me, will also soon be gone. The Third Generation has the duty to ensure that the Fourth Generation will carry the torch. Sha-sha is no more. It will be the Third and Fourth Generation’s challenge that we “Never Forget,” for ourselves and for the world. This challenge will be immeasurably more difficult in the decades to come than it was for me over the past half century. 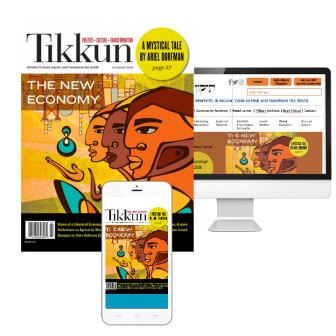 At issue is the question of whether the next generation of Jews will walk furtively looking over their shoulder, or boldly toward a gleaming horizon. I know Rachel and Cora will be among the bold. But they will need plenty of strength and help. Edwin Black is the New York Times bestselling author of IBM and the Holocaust and many other books. He can be found at www.edwinblack.com.